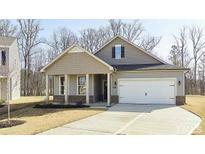 Find Rocky Mount, NC New Homes for sale. View Photos, Maps and MLS Data Now! Belmont Lake Preserve - All images are representative of homes being built. MLS#2249748. 782. Visit our community Clubhouse and see our fitness center, indoor/ outdoor pools and library! MLS#2249519. 782. Belmont Lake Preserve - One-year Builder Warranty and 10 year. Pics are Representative. MLS#2247732. 782. Belmont Lake Preserve - Vinyl floors, fireplace., HDMI installed, Deluxe master bathroom package. Pics are Representative. MLS#2247290. 782. No negotiation necessary. Lowest price guaranteed. MLS#2247384. 3316. No negotiation necessary. Lowest price guaranteed. MLS#2247383. 3316. No negotiation necessary. Lowest price guaranteed. MLS#2247382. 3316. No negotiation necessary. Lowest price guaranteed. MLS#2247378. 3316. No negotiation necessary. Lowest price guaranteed. MLS#2247381. 3316. No negotiation necessary. Lowest price guaranteed. MLS#2247376. 3316. No negotiation necessary. Lowest price guaranteed. MLS#2247369. 3316. No negotiation necessary. Lowest price guaranteed. MLS#2247373. 3316. No negotiation necessary. Lowest price guaranteed. MLS#2247372. 3316. No negotiation necessary. Lowest price guaranteed. MLS#2247366. 3316. Belmont Lake Preserve - Deluxe master bathroom package. All photos are representative. MLS#2247037. 782. Carriage Pond - 3 bedrooms w/oversized Master closet, 2 1/2 baths, Stainless appliance package (Stove, Microwave, & Dishwasher) Fireplace, Deluxe master bathroom package, High efficiency heating & air conditioning system w/ programmable digital thermostat, Deluxe landscape package w/sodded front yard Contracts must be written on Builder's forms. MLS#2244514. 782. Carriage Pond - Upgraded floors in living, foyer, kitchen and powder room MLS#2244509. 782. Belmont Lake Preserve - *All images are representative of the home being built* MLS#2243936. 782. Belmont Lake Preserve - *All images are representative of the home being built* MLS#2243984. 782. Fairfield - Convenient to Hwy 64 & easy access to surrounding cities. MLS#2220796. 5096. Carriage Pond - Contracts must be written on Builder's New Homes Purchase Agreement. MLS#2216106. 782. Autumn Ridge - No negotiation necessary. Lowest price guaranteed. MLS#2191386. 3316. Autumn Ridge - No negotiation necessary. Lowest price guaranteed. MLS#2191387. 3316. Autumn Ridge - Please note that the photos are of a similar home and may not be an exact representation of the home being built as products and specifications may be changed. Lot #1 MLS#2191384. 3316. Autumn Ridge - No negotiation necessary. Lowest price guaranteed. MLS#2190284. 3316.